It is a court case in the U.S. that is causing headaches for the authorities in Turkey, amid accusations that key Turkish figures helped Iran evade American sanctions. 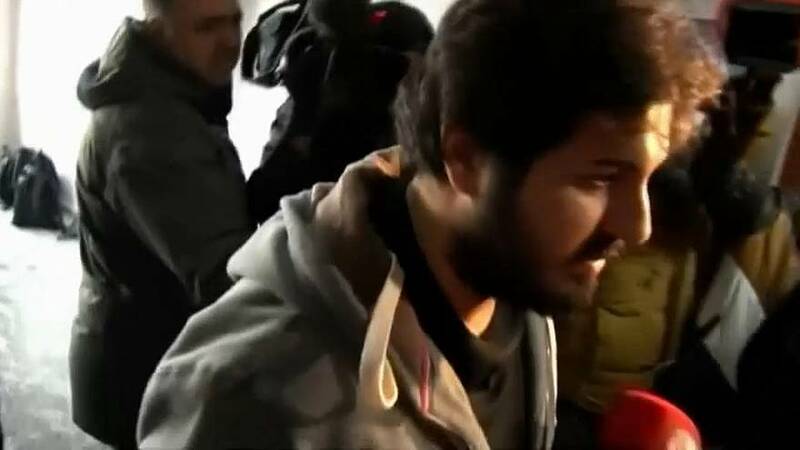 Reza Zarrab, a gold trader, has testified about meetings and conversations with top Turkish officials, including a bank executive on trial, accused of helping Iran to launder billions of dollars in revenue from oil sales through Turkish banks. Zarrab, giving testimony in a New York federal courtroom, is of Iranian descent but grew up in Turkey. He went by the Turkish name Riza Sarraf and was well known in celebrity circles in Istanbul. The 34-year-old is married to the pop star Ebru Gundes, a judge on a popular TV talent show, although a divorce is reported to be in the pipeline. But the focus in court is on his business connections. Prosecutors allege the sanctions-busting scheme was run through the Turkish state bank, Halkbank, which denies involvement. Also caught up in the claims is Bank Mellat, an Iranian government-owned bank. Zarrab claims he helped Iran trade in gold and then fake food purchases to raise cash. The businessman has implicated top Turkish politicians, including President Recep Tayyip Erdogan, claiming he authorised a transaction to help Iran evade US sanctions when he was prime minister. With three ex-ministers named in the case, who all deny wrongdoing, Erdogan has hit back. He maintains Turkey's actions were in line with UN rules and earlier dismissed the case as a plot to bring down his government. Zarrab is giving testimony after pleading guilty to charges against him and agreeing to cooperate with authorities. His evidence is being used in the case against Mehmet Hakan Atilla, a Turkish banker who has pleaded not guilty to accusations of being part of the scheme. New York prosecutors have charged eight people in the case, but Zarrab and Atilla are the only ones in American custody. The case is putting further pressure on already strained U.S.-Turkey relations.